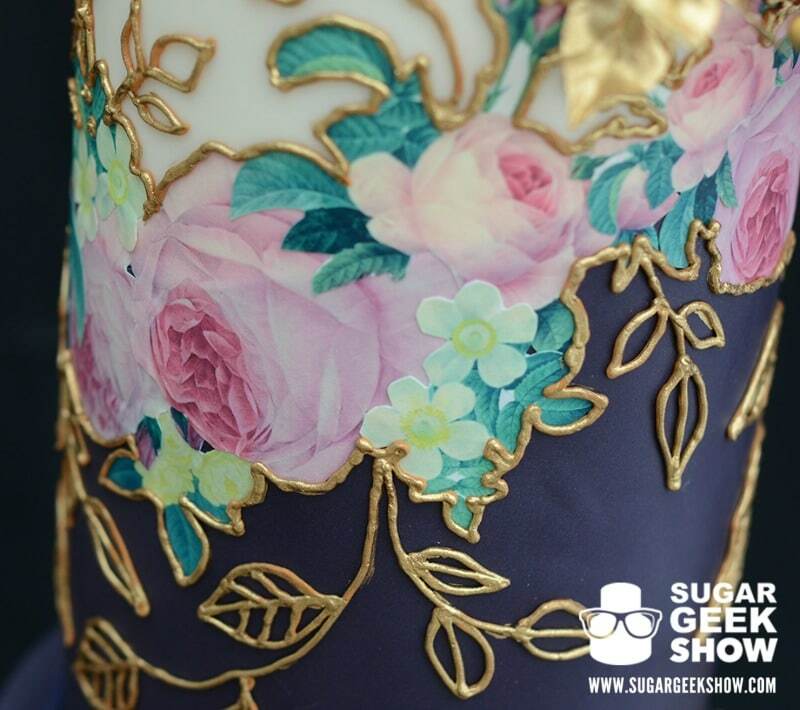 The latest cake tutorial to be found on The Sugar Geek Show is a lovely Jewel Toned Mexican Inspired Wedding Cake that is insanely unique for several reasons. Combine it with the Fuchsia Flowers, Buds and Berries Tutorial and you have a plethora of brand new techniques you can use on any cake! That’s right, I said plethora. Liz made this cake for a special friend who wanted to represent the coming together of two cultures. Very cool. Let’s take a closer look at the stunning details. 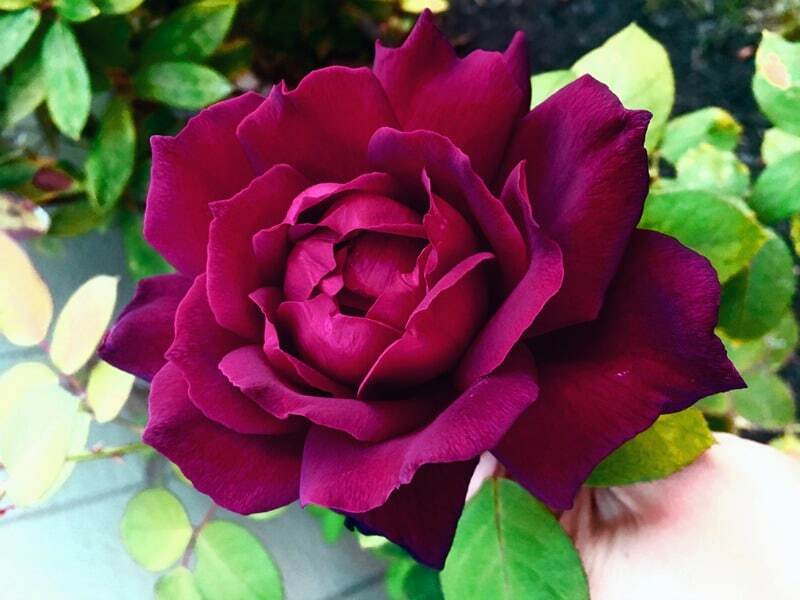 First off we have to swoon over this rose. Just let that set in for a bit. It’s so realistic your guests will be trying to smell it. Now you’re thinking, ” it is gorgeous but it must be super difficult and time consuming”, but guess what? IT’S NOT. Liz said, and I quote, “I think it’s the easiest rose I have ever made”. BONUS! This is the photo Liz took of the real rose that inspired her. It is unlike any other rose I have ever seen, not that I am a rose expert of any kind whatsoever but I can see why she was inspired to creepily take a photo of her neighbor’s rose; this definitely needed to be done in sugar. Beautiful gold leaves are a perfect accent on this cake and would be to many other cake designs as well, especially this time of year! Learn how to make these super cute Mexican paper flags! 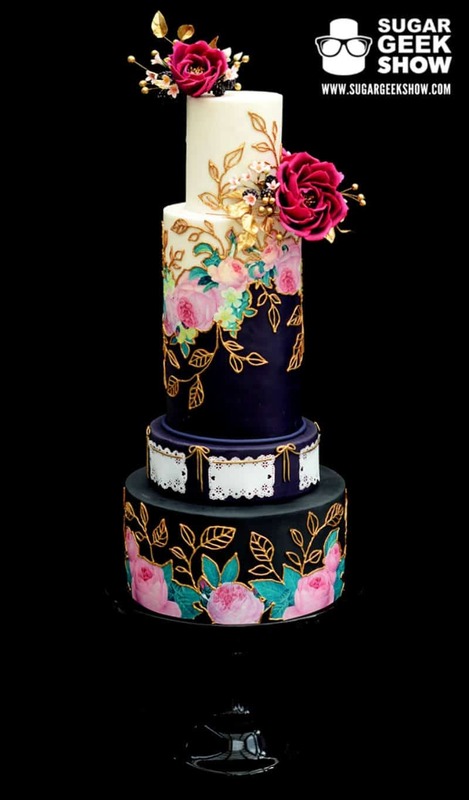 Edible decoupage is a super cool technique to be used on cakes. Decoupage is the art or craft of decorating objects with paper cut-outs. Layering the images as Liz did also adds even more interest. 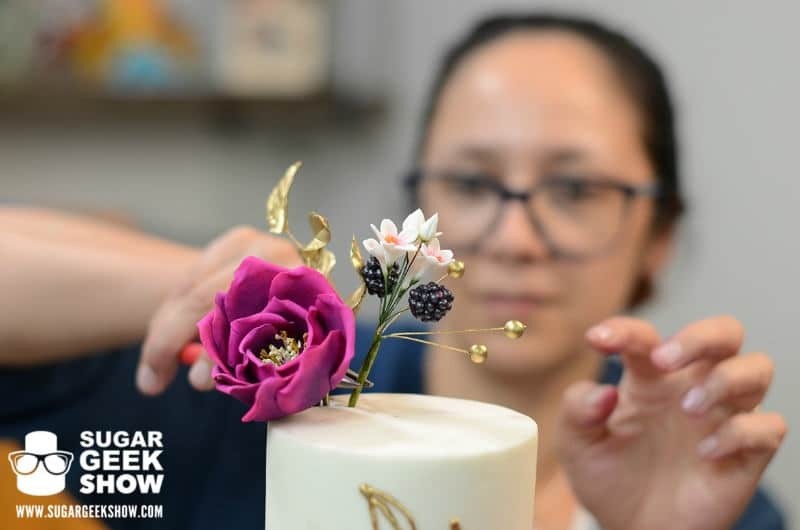 Liz demonstrates how to arrange the flowers, buds and berries on the cake to create a look that’s appealing to the eye. Here she is, the full beauty in all her glory. 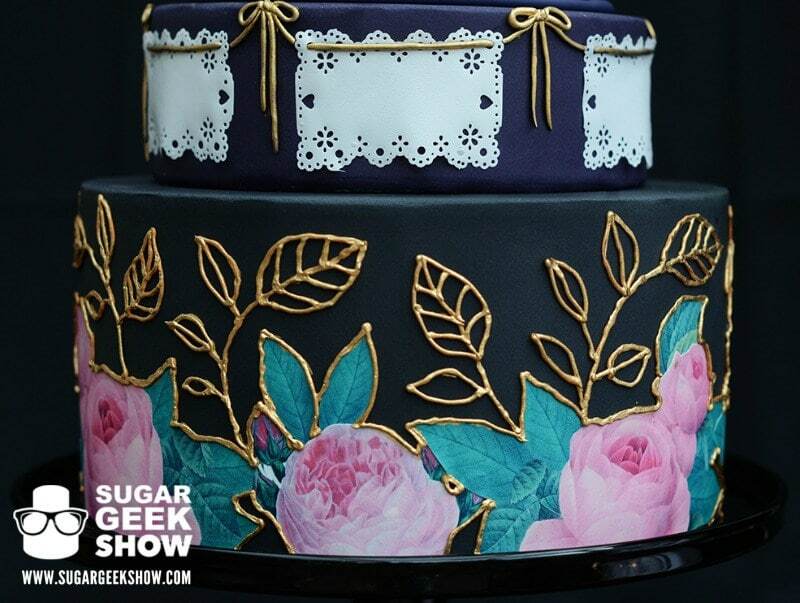 Love the theme of this cake and how Liz brought it to life! 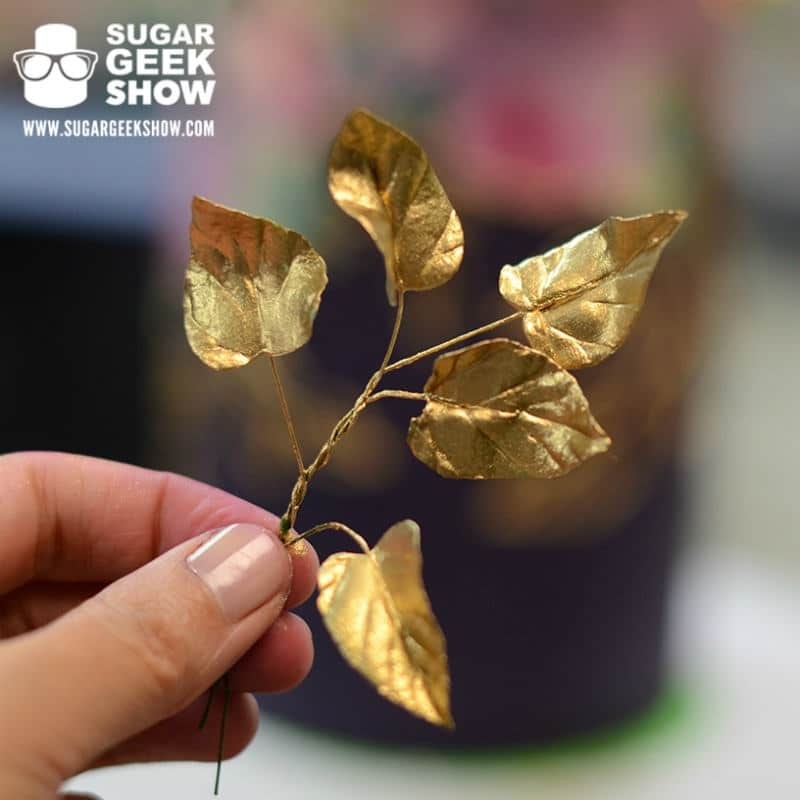 At this point, you should be inspired to sign up as a Premium or Elite Member of The Sugar Geek Show if you haven’t already. 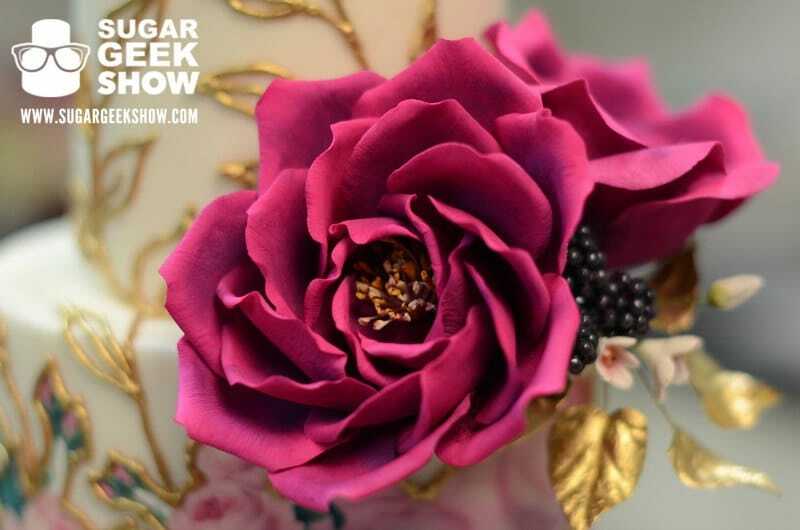 If you’re still on the fence, check out this FREE tutorial on how to make the incredible sugar berries from this cake. I have to tell you, this technique in my opinion is genius! Also check out the trailer’s for both the Jewel Toned Mexican Inspired Wedding Cake and the Fuchsia Flowers, Buds and Berries.